This worksheet is for practicing FAMILY MEMBERS. As always I have put one more empty line for students to write the sentence again in order to practice. You can also make a pronoun practice. 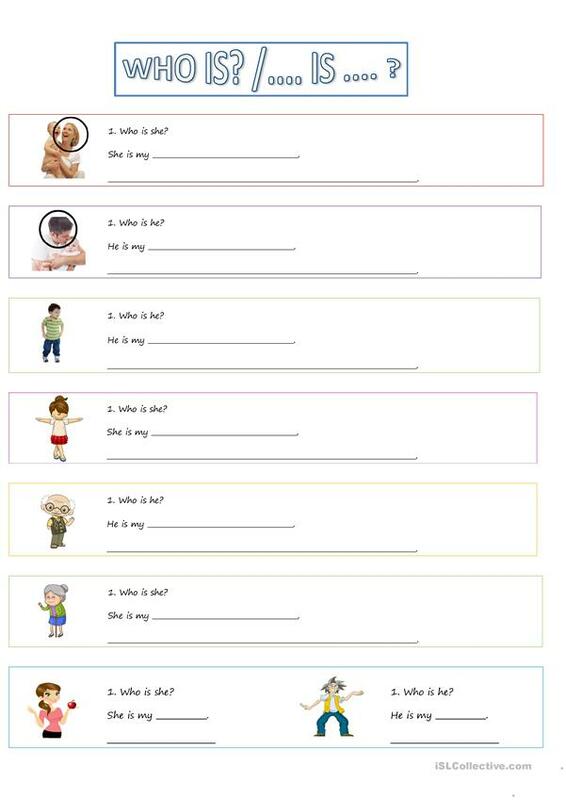 The present downloadable printable is best suited for elementary school students at Beginner (pre-A1) and Elementary (A1) level. It is great for consolidating Personal pronouns and Questions: WH questions (open-ended questions) in English, and is useful for working on your class' Writing skills. It centers around the topic and words of Family. It includes a key, too.